Modern accounting software brings new automation techniques that make your AR, AP, GL and payroll staff more efficient. Without these automation tools, workers likely have to perform tasks manually on an everyday basis – and that leads to slow and inaccurate reporting. How can you evaluate if you need these features? You can start by taking our multiple-choice survey about enterprise applications and software. 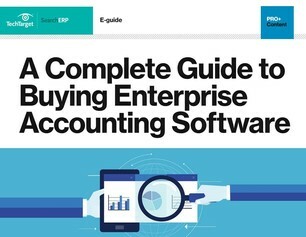 After the survey, you’ll get our Complete Guide to Buying Enterprise Accounting Software and explore modern enterprise accounting software benefits and products.